Last Saturday night, two-time Argentinean Olympian Alberto “Impact” Melian turned professional the “Lomachenko way” by knocking out the former world title challenger Diego Ricardo Santillan in the fifth round. 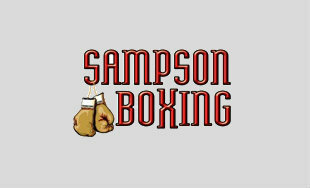 Promoted by Sampson Boxing, in association with Tello Box and JEB Boxing and with the sponsorship of Abitab and Asociación Atlética Argentinos Juniors, “Night Of High Impact” and was broadcast live by TyC Sports for all of Latin America and a large part of the United States. Next up, the Argentinean super bantamweight phenom will face Julián “Chispita” Aristule for the Argentinean championship. On the same fight card, the Buenos Aires native Tomás “The Cobra” Reynoso won by disqualification in the fifth round to Sebastian “The Promise” Papeschi and snatched the super middleweight WBC Latin title. The referee Rodolfo Stella punished Papeschi after his repeated dangerous use of the head, a situation that had already earned him a one point discount in the second episode. Reynoso (12-2-1, 3 KOs) gets the belt and he broke the unbeaten record of “The Promise”, who has now a pro record of 12-1, with 6 KOs. In an international special attraction, the undefeated Californian Sebastian “The Infernal Tower” Fundora (8-0, 4 KOs) won by points in unanimous decision after six rounds to the local idol David Ezequiel “Horseshoe” Romero (11-7-1, 5 KOs). Fundora is getting famous for his extraordinary size of 1.98 m. which makes him the tallest super welterweight boxer in the history of his weight class. In another six-rounder, the Dominican middleweight, Felix “Jay Jay” Vargas (7-2, 2 KOs) won in split decision to the now former unbeaten Julián Isaias “The Diamond” Gómez (3-1, 3 KOs) from Buenos Aires. In addition, the former national Argentina amateur team member, the undefeated light flyweight Anyelén “La Peke” Espinosa (5-0) won by unanimous decision after six rounds to María Laura Cano (1-3). And in a four-rounder, Federico Rodríguez (1-0) makes his pro debut with a victory by points in split decision over Matías Díaz (2-4).